THEIR STORY – In 2016, four senior, single women moved in to a recently renovated home in downtown Port Perry. However, this was no ordinary renovated house, and these were not typical seniors. The Golden Girls Effect, so labeled by the Toronto Star, resulted in a renovated heritage house that meets the anticipated needs of these seniors as they age, and they are not even related. They did this because as they were planning for their golden years, the housing options available were not attractive to them. Watching loved ones try to navigate the world of seniors’ housing, they realized that living in a retirement home, condo or apartment would not be for them. Instead, they took a proactive approach, seeing that there were major economic and social benefits if they were to pool their resources, and design a home that would meet their needs as they aged. This included building two caregiver suites in their basement, adding an elevator to service the three-story home, and even consulting experts on everything from door handles to roll-in showers, to make the house accessible for aging seniors. All this was designed to help serve them as they age. They also knew they would have to lay some ground rules down if they were to peacefully live under one roof. With the help of a lawyer, they drafted a home sharing agreement, determining protocol and peaceful resolution mechanisms when disagreements inevitably occurred. The agreement also helps to give answers to some legal questions, including the logistics in the case of one member’s death or moving out. The benefits were felt immediately. Living alone, they needed four of everything. Now, they make-do with sharing one item between the four of them, finding efficiencies in all parts of their lives. They eat dinner together, they check in on each other, and they enjoy living together. They believed they had found the perfect arrangement to address all of the concerns they had when they initially started planning for senior living. THEIR OBSTACLES – The Golden Girls had been involved with an earlier plan for such a home in their town, but they faced serious obstacles. Yet, these women fought against those obstacles, paving their own way to a positive resolution. The Township of Scugog attempted to use their By-Law making powers to prevent this type of home sharing by seniors. After a lengthy struggle, including many community meetings and appearances before their local municipal council, it was the Human Rights Commissioner of Ontario weighing in that eventually made the Council back off. The Commissioner informed the Council that trying to prevent this type of living arrangement would be discriminating against seniors and a violation of the Ontario Human Rights Code. The way was then clear for the Golden Girls to build their home, and in the process free up four single dwellings in their town. THE ISSUE – The Golden Girls of Port Perry are a success story, with a beautiful home and a great living arrangement. However, it is concerning that a municipal government lacked the necessary understanding about the legalities of a home like this and attempted to stop the earlier project. The Golden Girls are also aware of the same situation occurring in another small municipality, where the municipality’s action stopped the project altogether. Reading the law on its face, these municipalities did not realize they could not legally zone against such homes. 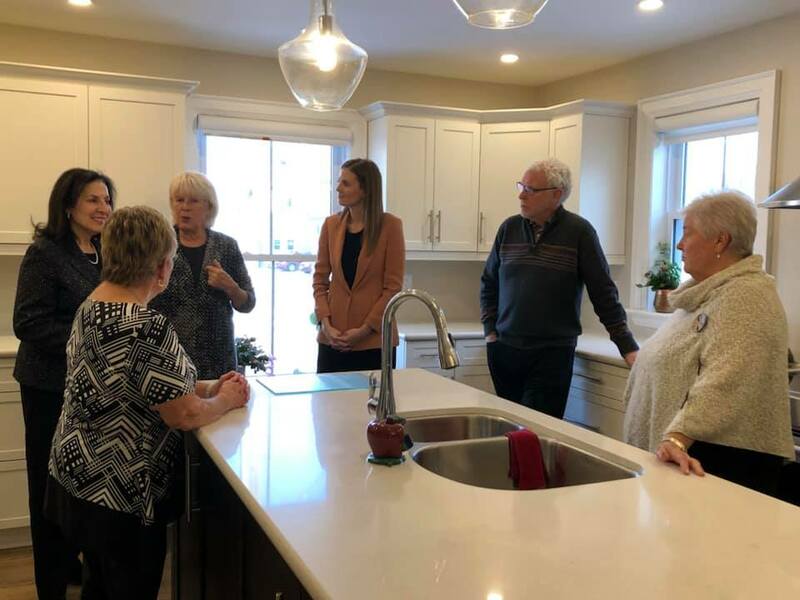 With an aging population and a housing supply shortage, innovative approaches to housing and accommodation for seniors, such as the approach taken by the Golden Girls of Port Perry, ought to be encouraged by all levels of government. • Seniors are the fastest growing population in Durham Region and province-wide. • The number of seniors in Ontario aged 65 and over is projected to almost double from about 2.4 million, or 16.7% of the population in 2017, to almost 4.6 million, or 24.8%, by 2041. 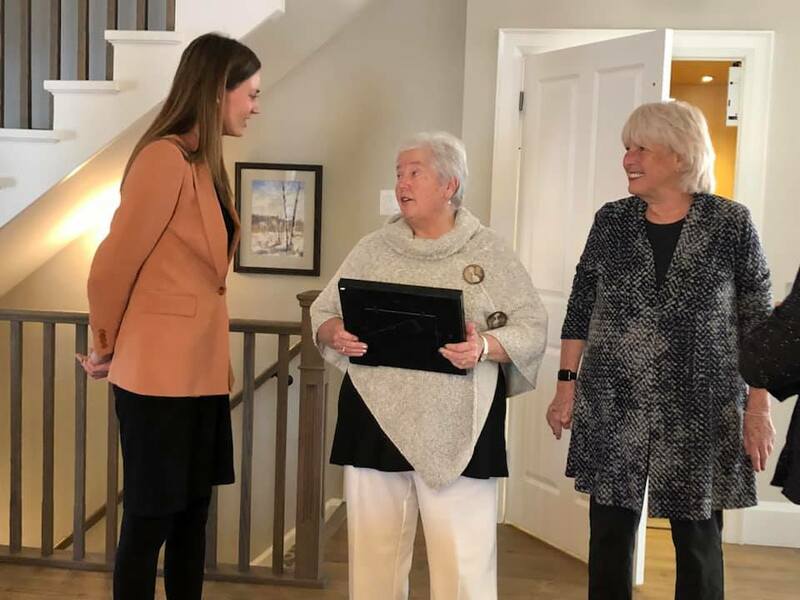 Upon meeting the Golden Girls, Durham Member of Provincial Parliament, Lindsey Park, was inspired to do what she could to promote this project and ensure other seniors did not face similar hurdles at the municipal level. In February 2019, MPP Park introduced a Private Member’s Bill in the Legislative Assembly of Ontario, titled “The Golden Girls Act, 2019”. The goal of this legislation is to provide clarity to local municipalities that they cannot use their local By-Law making powers to try to stop this kind of housing project for seniors. Further, the aim is that future Golden women and men do not face the same obstacles when pursuing this kind of innovative housing solution. The Golden Girls Act, 2019 is also the start of a movement in the Province of Ontario. With the supply shortage of affordable housing for seniors, long wait lists for long-term care, and an aging population, there needs to be innovative approaches to housing for seniors. Repurposing existing housing infrastructure and promoting the sharing-economy will create more options for more seniors – and MPP Park hopes to start that conversation with her Golden Girls Act, 2019. "We know that people want to remain in their home as they age, and we need to do everything we can to make that happen. Home Care Ontario applauds MPP Park’s Golden Girls Act 2019, for fostering innovative ways to help seniors stay at home, remain independent, and receive care when and where they want it – at home"